How did a year become defined as 365 days? How can it be morning in one country and afternoon in another country? 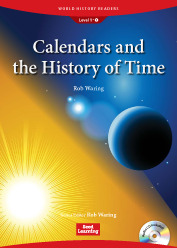 In Calendars and the History of Time, students will find the answers to these questions and much more. Students will read about calendars from all over the world and how they got started. Why did people want to find it? Who were the Muisca people? 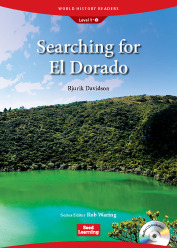 In Searching for El Dorado, students will find the answers to these questions and much more. Students will read about European explorers in South America and some of the things the explorers found. Why did people want to build the Tower of Babel? Where do the world’s languages come from? In The Tower of Babel, students will find the answers to these questions and much more. 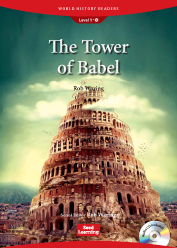 Students will read about the Tower of Babel and the birth of languages. How did Europeans get to the United States? What will people do for freedom? In The Pilgrim Fathers, students will find the answers to these questions and much more. 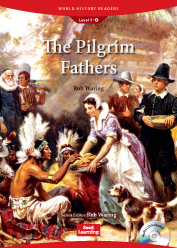 Students will read about American Indians and Pilgrims in the American colonies. What was it like to travel before cars, trains, and planes? What happened to the Silk Road? In Traveling on the Silk Road, students will find the answers to these questions and much more. 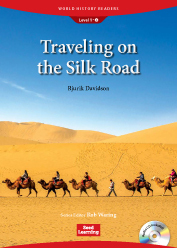 Students will read about the famous Silk Road and the people who traveled on it. Why did people start to write? What are some different writing systems? 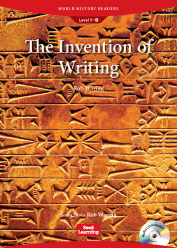 In The Invention of Writing, students will find the answers to these questions and much more. Students will read about early and modern writing systems. How are the countries in Europe different? How was the European Union formed? In The Making of a United Europe, students will find the answers to these questions and much more. 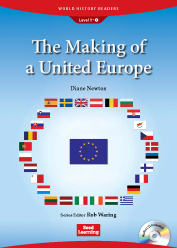 Students will read about Europe after WWII and how Europe became more united. How did people discover numbers? Where do we see Roman numerals today? Why is zero so important? 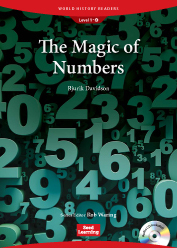 In The Magic of Numbers, students will find the answers to these questions and much more. Students will read about number systems from all over the world including numbers in nature. How big was the Persian Empire? How were the kings during the Persian Empire different from other kings? Who did the Persians fight against? In The Persian Empire, students will find the answers to these questions and much more. Students will read about two leaders who changed the way future kings would rule their people. Why is the wall important today? In The Great Wall of China, students will find the answers to these questions and much more. 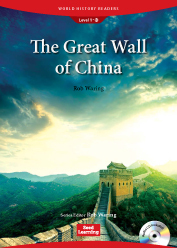 Students will read about why the Great Wall is truly great. Where were the Ottomans from? 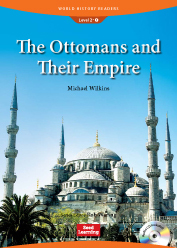 In The Ottomans and Their Empire, students will find the answers to these questions and much more. Students will read about the rise and fall of an empire that lasted for hundreds of years. 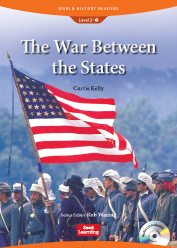 Which states fought against one another? Why was this war important to slaves? In The War Between the States, students will find the answers to these questions and much more. Students will read about the American Civil War, President Lincoln, and slavery. How did machines become a part of our lives? What were some of the first machines? In The Industrial Revolution, students will find the answers to these questions and much more. 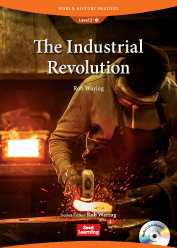 Students will read about the Industrial Revolution and how it changed our lives. What are GMOs and are they healthy? 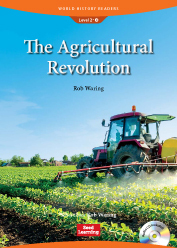 In The Agricultural Revolution, students will find the answers to these questions and much more. Students will read about the story of food and how it is grown. Why are there conflicts in the Middle East? How are Shia and Sunni Muslims different? Why do the Arabs and Jews fight over Palestine? In Wars in the Middle East, students will find the answers to these questions and much more. 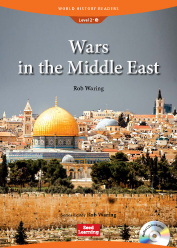 Students will read about many conflicts in the Middle East and why the people fight. Where can we see the effects of the British Empire today? In The British Empire, Then and Now, students will find the answers to these questions and much more. 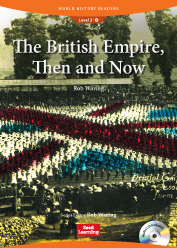 Students will read about the British Empire and how it still influences us today. How did the Assyrians change warfare? How did the Assyrians treat the people in the lands that they conquered? What was found at the Library of Ashurbanipal? In The Neo-Assyrian Empire, students will find the answers to these questions and much more. 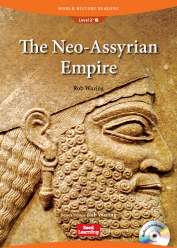 Students will read about the lasting impact of the Neo-Assyrian Empire. What is the idea behind Communism? Which countries used to have Communist governments? In The Rise and Fall of Communism, students will find the answers to these questions and much more. 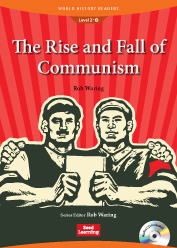 Students will read about Communism and other political systems. What were early writing system like? How did printing machines evolve? How will printing probably be used in the future? 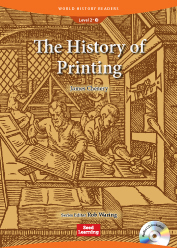 In The History of Printing, students will find the answers to these questions and much more. Students will read about everything from printing with stamps to 3D printing. What was life like for a Viking? 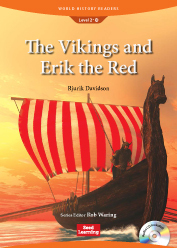 Who was Erik the Red? Who was the first person to sail from Europe to America? In The Vikings and Erik the Red, students will find the answers to these questions and much more. Students will read about the Vikings and their amazing journeys. Why do the moon and the sun set? In Space Exploration, students will find the answers to these questions and much more. 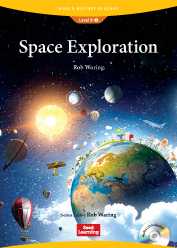 Students will read about the history of space exploration and the future of space travel. What were the Spanish explorers looking for? Where did the name “America” come from? Who were some famous Spanish explorers? 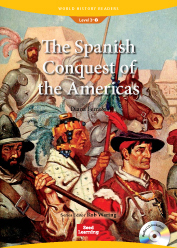 In The Spanish Conquest of the Americas, students will find the answers to these questions and much more. Students will read about how the Spanish culture changed the Americas. How did Cleopatra meet Julius Caesar? How did Cleopatra and Mark Antony die? In Cleopatra, students will find the answers to these questions and much more. 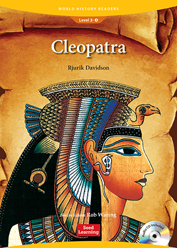 Students will read about the interesting life of Queen Cleopatra, from beginning to end. What were the reasons behind the French Revolution? What happened to Marie Antoinette? 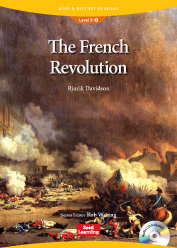 In The French Revolution, students will find the answers to these questions and much more. Students will read about the revolution and why it was one of the most important events in history. 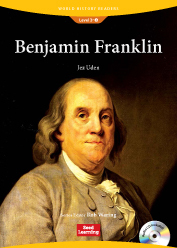 How did Benjamin Franklin make the world better? What are some of the things he invented? In Benjamin Franklin, students will find the answers to these questions and much more. Students will read about a popular and inventive leader in American history. How did Galileo do experiments and research things? What are some improvements and discoveries that Galileo made? In Galileo Galilei, students will find the answers to these questions and much more. 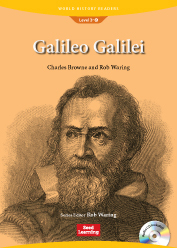 Students will read about Galileo and how he still influences us today. What happened at the Battle of Thermopylae? How did Themistocles trick Xerxes? Why was the Battle of Salamis important? 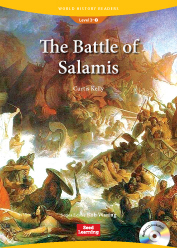 In The Battle of Salamis, students will find the answers to these questions and much more. Students will read about how Greece was saved from the Persians. Have wars really been fought over tea? How is opium bad for people? 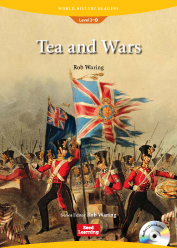 In Tea and Wars, students will find the answers to these questions and much more. Students will read about the Boston Tea Party and the Opium Wars and how they were connected. What was it like for his sailors? In Christopher Columbus, students will find the answers to these questions and much more. 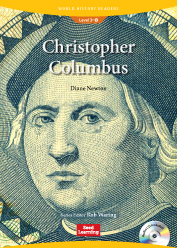 Students will read about Christopher Columbus and his adventures. 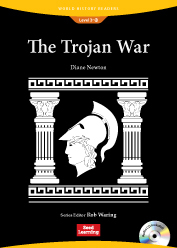 How much of the story of the Trojan War is true? Why did the Trojans and the Greeks fight? How did the war really end? In The Trojan War, students will find the answers to these questions and much more. Students will read about the people and the gods involved in this war. How far did Alexander’s empire reach? What was Alexander’s greatest victory? What was Alexander’s relationship to Zeus? In Alexander the Great, students will find the answers to these questions and much more. 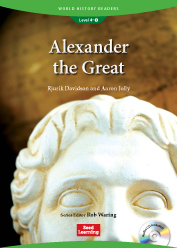 Students will read about Alexander’s rise to power and his effect on history. What were Leonardo da Vinci’s talents? How did he keep track of all his ideas? What were some of Leonardo’s inventions? In Leonardo da Vinci, students will find the answers to these questions and much more. 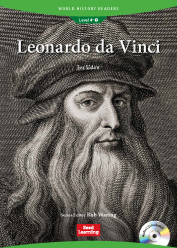 Students will read about Leonardo’s life and many of his accomplishments. Who was the most famous king of the Neo-Babylonian Empire? 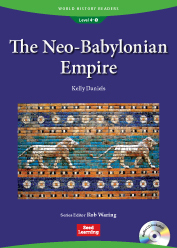 How did the Neo-Babylonian Empire fall? In The Neo-Babylonian Empire, students will find the answers to these questions and much more. 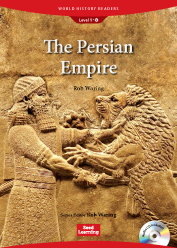 Students will read about the powerful Neo-Babylonian Empire and the wonders of Babylon. When was the first British colony established? How was life for the Pilgrims? In The Birth of the United States of America, students will find the answers to these questions and much more. 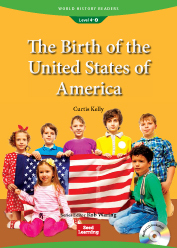 Students will read about how the United States was formed. How important was the Nile River to Egyptian life? What was everyday life like for the Egyptians? 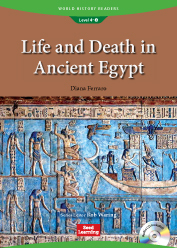 In Life and Death in Ancient Egypt, students will find the answers to these questions and much more. Students will read about the rise and fall of the Egyptian Empire. How did the soldiers train? What happened when soldiers retired? In Life in the Roman Army, students will find the answers to these questions and much more. 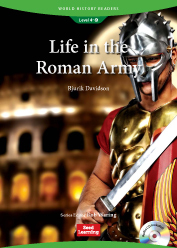 Students will read all about Roman soldiers and their impact on the world. What was the great plane race? What was the prize for the race? Who won the race and how? 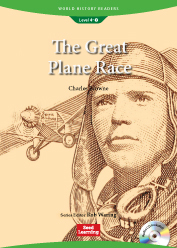 In The Great Plane Race, students will find the answers to these questions and much more. Students will read about one of the world’s greatest pilots and how he made history. 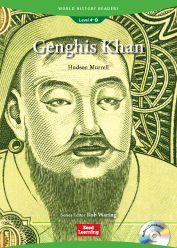 How did Genghis Khan become the most famous Mongolian ever? What kind of leader was he? How large was his empire? In Genghis Khan, students will find the answers to these questions and much more. Students will read about the most feared leader that Asia has ever known. What was the reason behind the Korean War? What was life like for the Korean people during the war? How are relations between North and South Korea today? 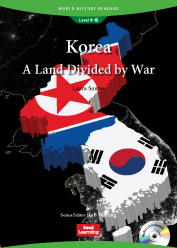 In Korea: A Land Divided by War, students will find the answers to these questions and much more. Students will read about the Korean War and its effects on the world. Why is the Holy Land important to Jews, Christians, and Muslims? How many crusades were there? Why did the Crusades fail? In The Crusades, students will find the answers to these questions and much more. 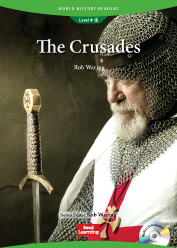 Students will read about the Crusaders and the Holy Land. How did it change the way we think about the world? In The Story of the Renaissance, students will find the answers to these questions and much more. 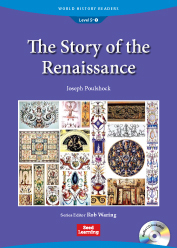 Students will read about the Renaissance and its rebirth of art and creativity. What happened during the Great Plague? What was life like during the plague? In The Great Plague, students will find the answers to these questions and much more. 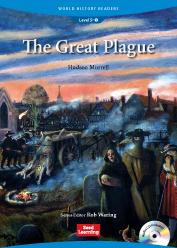 Students will read about the plague and how it impacted life in England. How big was the Mughal Empire? Who were some important leaders during this time? In The Mughal Empire, students will find the answers to these questions and much more. 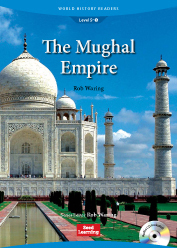 Students will read about the Mughal Empire and its influence on Indian art, culture, and architecture. What kind of power did kings have during the Middle Ages? What kind of power did popes have during the Middle Ages? How was the Church of England established? In Popes and Kings in the Middle Ages, students will find the answers to these questions and much more. 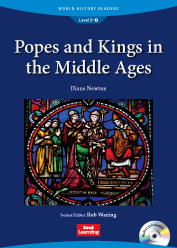 Students will read about some important popes and kings and the decisions they made during the Middle Ages. Why is Tutankhamun famous today? What artifacts and treasures were found in Tutankhamun’s tomb? In Tutankhamun, students will find the answers to these questions and much more. 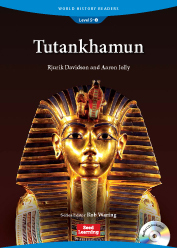 Students will read about the life of Tutankhamun and his legacy. Why was the Reformation a big movement in history? What did people think needed to be changed about the Roman Catholic Church? In The Story of the Reformation, students will find the answers to these questions and much more. 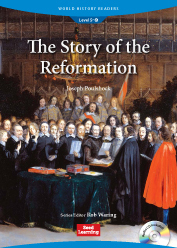 Students will read about the Reformation and how it shaped history. What medical improvements did the ancient Romans make? Who united medicine and chemistry? 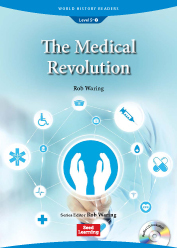 In The Medical Revolution, students will find the answers to these questions and much more. Students will read about how medicine has changed over time and about some important medical breakthroughs. Who were the Nazis and what did they do? In Decisive Battles of World War II, students will find the answers to these questions and much more. 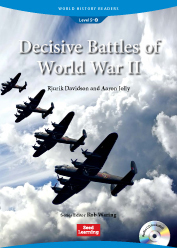 Students will read about some of the most important battles of World War II and their impact on the world. What is the People’s Republic of China? How do China’s traditional values affect modern China? 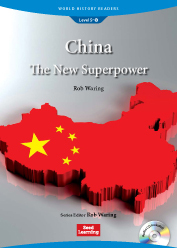 In China: The New Superpower, students will find the answers to these questions and much more. Students will read about China, some of its influential leaders, and its impact on the world. How was life during the Depression? How did governments in the US and the UK try to help? Could another depression happen in the future? In The Great Depression, students will find the answers to these questions and much more. 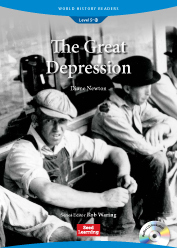 Students will read about the Great Depression and how it still affects our lives today. What was life like for soldiers who fought in the war? How was WWI different from other wars? In World War I, students will find the answers to these questions and much more. 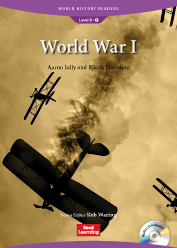 Students will read about the war and how it affected the people who lived through it. What types of communication do people use? How has communication changed with technology? How might communication change in the future? 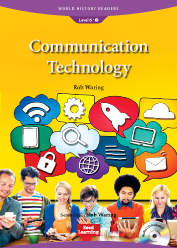 In Communication Technology, students will find the answers to these questions and much more. Students will read about how communication has changed throughout history. 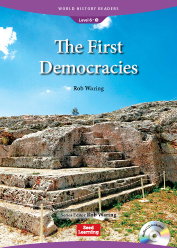 Where was the first real democracy? How has democracy changed over time? In The First Democracies, students will find the answers to these questions and much more. Students will read about different democracies and important events in the development of democracy. How was the war fought? How was the space race involved? In The Cold War, students will find the answers to these questions and much more. 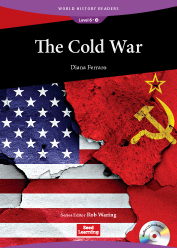 Students will read about the political, commercial, and cultural struggles of the Cold War. How are global trade and peace linked? What is the comparative advantage? What are some of the challenges of international trade? In Global Trade and Peace, students will find the answers to these questions and much more. 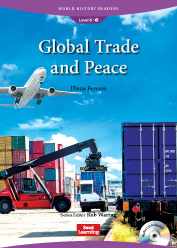 Students will read about how global trade is increasing connections between countries. What was living in ancient Greece like? How did the Greek culture influence philosophy and science? Who were some of the Greek gods? In Greek Culture, students will find the answers to these questions and much more. Students will read about ancient Greece and some of the important ideas developed there. What kind of man was Napoleon? In Napoleon, students will find the answers to these questions and much more. 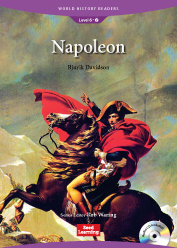 Students will read about Napoleon's life and the legacy he left behind. How have airplanes changed over time? What changes in transportation can be made in order to help the environment? In The History of Transportation, students will find the answers to these questions and much more. 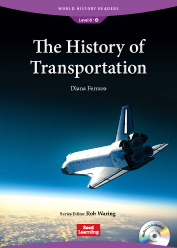 Students will read about how transportation has changed over time and how it might change in the future. 6-9 Capitalism: Good or Evil? What are some of the benefits of capitalism? What are some of the problems with capitalism? 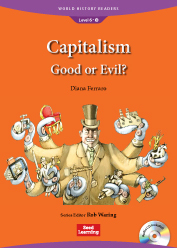 In Capitalism: Good or Evil?, students will find the answers to these questions and much more. Students will read about capitalism and some other political systems. What was China's first Emperor like? How were the terracotta warriors discovered? 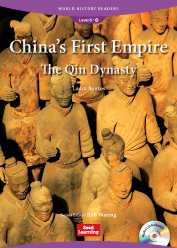 In China's First Empire: The Qin Dynasty, students will find the answers to these questions and much more. Students will read about the rise and fall of the Qin Dynasty.